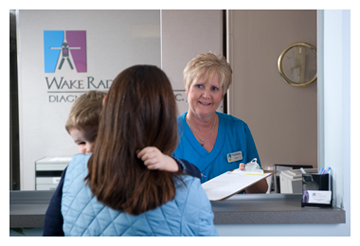 Our West Raleigh Pediatric Imaging office is located in the Rexwood Medical Complex off of Lake Boone Trail and across the street from UNC REX Hospital. 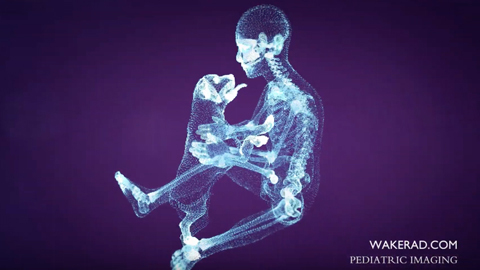 A pediatric radiologist is at this outpatient office every day to assist our youngest patients with both routine studies and those that are more complex. 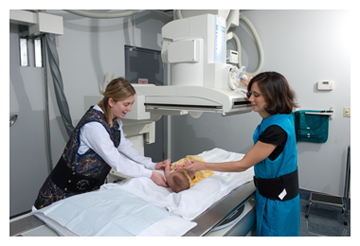 All of our staff is committed to low-dose imaging and pledges to Image Gently™ using the most conservative imaging protocols possible as we care for patients from newborns to age 18. Check-in is quick and convenient. 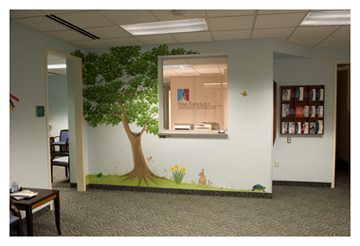 Colorful murals delight our youngest patients. 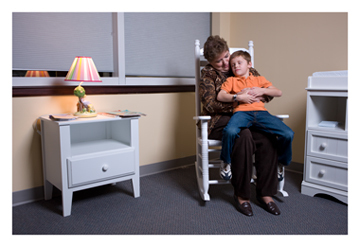 A separate waiting area was created so it’s easier for parents to take care of sick children. 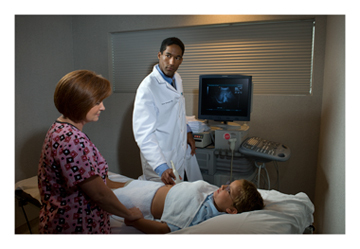 Dr. Laura Meyer and a technologist prepare a baby girl for a fluoroscope scan. 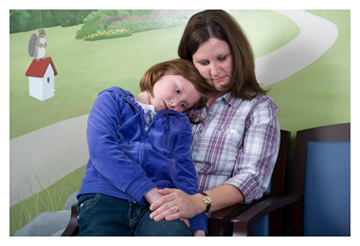 Parents can use private rooms to calm children, change diapers or speak with a pediatric radiologist.